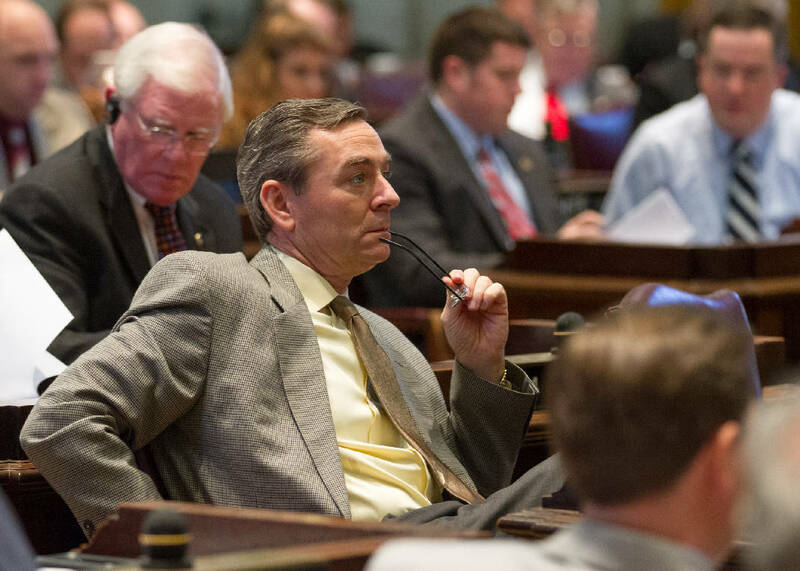 NASHVILLE — Tennessee's presumed next House speaker, Republican Glen Casada, has a personal take on the controversy over state GOP leaders' desire that legislators require voters to register by party and restrict primary elections to party voters. The veteran Franklin lawmaker said the would-be candidate "that wanted to run against me in the [August] primary had a history of voting Democrat. So the state party told her she couldn't run because you weren't 'bona fide.'" Meanwhile, his opponent in the November general election, Bill Peach, "had a history of voting in Republican primaries but ran as a Democrat," Casada said, noting "it's a little dishonest" for someone running as a Democratic candidate to be voting in the GOP's county-level primary in May. Casada, who won his contest handily, said Republicans "across the state would like to keep primaries a nominating process for the general election." And he believes that's "fair" for Democrats as well. The state Democratic Party is against restricting primaries to voters registered by party. What the General Assembly "needs to look at is registration by party" and restricting primaries to those voters, said Casada. "What I think needs to be studied — and our State Government committee will — is just that: do we register by parties at a date specific?" A number of Republicans in a state where the GOP dominates statewide offices as well as the legislature disagree. Among them are Gov. Bill Haslam and his successor in January, Gov.-elect Bill Lee, who earlier this week questioned whether any change is needed. Lt. Gov. Randy McNally, the Republican Senate speaker, is open to the idea but believes lawmakers need to ensure a smooth process that's easy to administer and isn't costly. 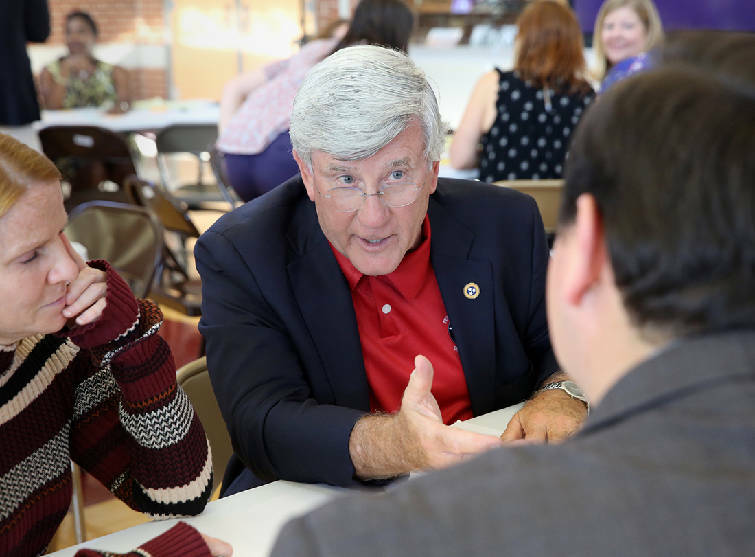 Staff photo by Erin O. Smith / Sen. Todd Gardenhire, R-Chattanooga, speaks with others at his table during a visioning event for the new Howard Middle School Thursday, August 23, 2018 at Howard High School in Chattanooga, Tennessee. Many parents, students and teachers from schools in the Howard School feeder pattern attended the event as well as other concerned citizens. "I think there might be a fear that if there's more than one candidate in a primary, then the other party could end up voting for one that they like or one that's the weaker of the two," McNally said of primaries as they are now. "Sometimes it's that, and sometimes it's really the opposite. I don't think that President Trump would've been elected had there been closed primaries in all the states." Some Republican lawmakers, including Sen. Todd Gardenhire of Chattanooga, oppose the idea of closing primaries to registered voters. Gardenhire has said Republicans' success in becoming the state's dominant party was built on crossover voting. Tennessee is one of six states that have a "partially open primary." Voters don't register with political parties and can fill out the primary ballot of their choice. Tennessee law does require primary voters to be "bona fide" party members in which they vote. But the law also says a voter "declares allegiance to the political party in whose primary the voter seeks to vote" and states the voter "intends to affiliate with that party." The state has a rich tradition of crossover voting. Throughout much of the first 70 years of the 20th century, when Democrats controlled all, East Tennessee Republicans famously jumped into Democratic primaries, helping decide any number of nominees. But as Republicans in recent years grew into super majorities, a number of party leaders are concerned about Democrats returning the favor. 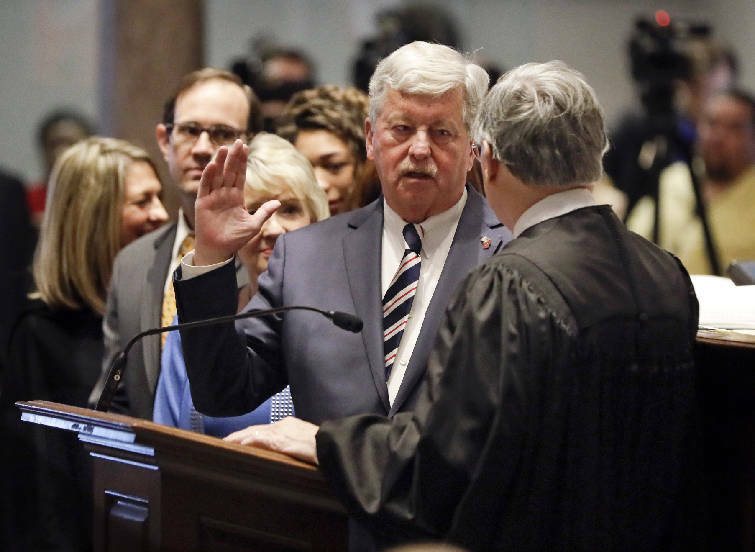 Republicans like Haslam say crossover voting helped catapult the party into control of the state with Democrats occasionally voting Republican and finally deciding they are Republicans. 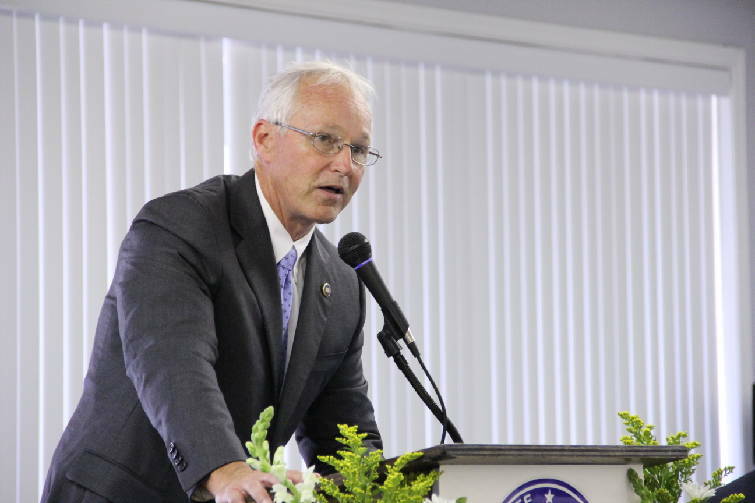 Rep. Ron Travis, R-Dayton, has his own personal story about crossover voting. But unlike Casada, he believes it's helped strengthen the GOP. In 2012, Travis challenged Republican incumbent Rep. Jim Cobb in the GOP primary. Because no Democratic candidate ran, "the Democrats had no one to vote for except two Republicans," Travis recalled. "I'd been a Republican all my life." It was a bitter battle. Toward the end, Rhea County's Registrar of Elections, a Republican, convened GOP panels on the spot that successfully challenged a number of Democrats seeking to cross over into the GOP primary, preventing them from doing so. Cobb and Travis said publicly that they opposed the action, with both acknowledging they had Democratic supporters. But Cobb also suggested Travis wasn't really a Republican. Rhea County's Herald-News found that Travis had voted in two past Democratic primaries. But the newspaper's reporting also found that Cobb himself had voted in one Democratic primary. Photo by Shawn Paik /Times Free Press. "I do not believe this is a good thing for the state of Tennessee," said Travis of the efforts to restrict party primary participation to registered party members. "I believe that persons should have an opportunity to" vote in primaries. He noted that he and several fellow Republicans were meeting Wednesday evening with some Democrats interested in joining the GOP. "And I know it's the [GOP Executive] committee that wants to bring this up, but I just don't think it'll be a good thing for Tennessee politics," Travis said. The issue played out to an extent in this year's House District 30 GOP primary in Hamilton County between Esther Helton of East Ridge and Jonathan Mason. Mason attacked the Republican credentials of Helton, who was a member of the East Ridge city council, a nonpartisan post, charging she had voted in multiple Democratic primaries. Helton fired back, saying her voting history "shows that I am a Republican and I've been certified by both the local Hamilton County and Tennessee Republican Parties to have met that criteria." The state GOP says its candidates must have voted in Republican primaries in at least three of the past four elections. "Like many leaders in Hamilton County who serve today in countywide office and currently in our state delegation, I did cast a ballot in a Democrat primary but my voting record as an elected official, my financial contributions and the time that I've spent working for other candidates reflects my Christian faith and my conservative values that make me a Republican." Helton won the race. An effort to contact her Wednesday was unsuccessful.